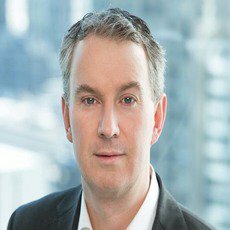 John Pirie leads Baker McKenzie’s Canadian litigation group and is a member of the steering committee for the firm’s North American litigation practice group. He frequently acts for foreign-based parties in complex litigation, arbitration and investigations. Mr Pirie’s practice includes a sizable fraud law and asset recovery component, often involving matters where he acts in coordination with other firm offices globally. He has expertise concerning recovery strategies and emergency relief measures related to fraud, including Mareva injunctions, Anton Piller orders, Norwich Pharmacal orders, global asset tracing and fraudulent conveyance proceedings. Mr Pirie has acted as lead counsel on an array of reported cases, and he has been recognised in Lexpert’s annual Guide to the Leading Canada/US Cross-Border Litigation Lawyers, and in the The Legal 500 for dispute resolution. He appeared in the Supreme Court of Canada on a case ranked by Lexpert Magazine as Canada’s leading business decision in 2007.